Cargolux and CHAMP – that was quite a love affair two decades ago. But as time passed by the fire cooled down somewhat. Meanwhile the Luxembourg-based freight carrier is evaluating modes to exit the partnership and inhouse many IT services again that had formerly been outsourced to its IT service provider. 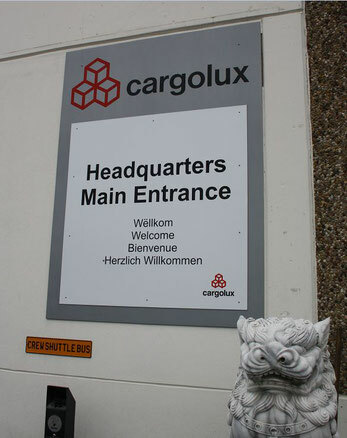 It can be assumed that Arnaud Lambert, CEO of CHAMP Cargosystems since February 2015, has been a frequent guest at Cargolux’s head office near Luxembourg Airport Findel lately. Not only for the sake of courtesy since both companies are close neighbours but mainly driven by hopes that he succeeds in changing the minds of Cargolux’s top executives. The bold truth is, however, that his visits have been largely fruitless. 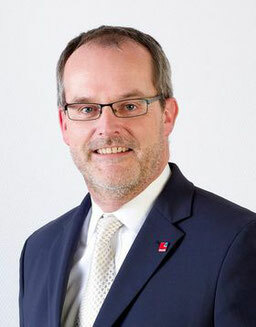 Or as a former leading CV manager put it in a nutshell: “Lambert lost a big battle.” This, because the carrier has decided to undertake a radical reassessment of CHAMP’s holistic Enterprise Resource Planning (ERP) system, provided to Cargolux for inventory reasons, sales support, maintenance management, marketing aspects, human resources or financial transparency, facilitating transactions in real-time. In other words, all these key ERP tools based on CHAMP technology are currently scrutinized and replaced by others in the months ahead. This is confirmed by CV’s head of communications Moa Sigurdardottir to CargoForwarder Global. In light of the changes in the logistics and aviation industry, and the resulting demands of her airline’s business, “Cargolux is revising and adapting its IT architecture and IT operations strategy,” she states. This booking and tracking tool provides a significant number of airlines with complete end-to-end control over their freight shipments. However, it might be a question of time until CV exits Cargospot as well since the platform, although frequently technically updated, is almost two decades old. It dates back to 2004, when Cargolux split its IT division into a separate legal entity called CHAMP Cargosystems. At that time, this was a global trend to better identify and manage IT costs and spending. In addition, it enabled the company to optimize and continuously improve IT services by leveraging the IT expertise of a specialist IT service provider. “Outsourcing IT was not uncommon in those days,” emphasizes Ms Sigurdardottir. Meanwhile, more modern systems with new generation IT solutions are made available to carriers, seen by the rise of Bangalore, India-based IBS, offering customers a modular architecture and a multitude of applications. Recent IT tenders launched by Korean Air, American Airlines, Asiana and Lufthansa were all won by IBS, claiming that their system helps customers to maximize efficiency, improve revenue, manage growth and reduce costs. In contrast, CHAMP’s software is “antiquated,” exclaimed a former leading CV executive when asked by CargoForwarder Global. “Their system needs a root-and-branch reform,” he recommends. An estimate indirectly confirmed by Ms Sigurdardottir. For Arnaud Lambert and his firm’s stakeholders this is certainly not good news. With CV exiting CHAMP’s ERP functions in the months ahead his company’s revenues are badly hit. Just before Christmas not really an inspiring outlook. This has been going on since the creation of this monster by CV themselves. CV knew and has not acted on the situation for years. An entity created not to be successful but for various other reasons like keeping the headcount down or performing a book keeping exercise. CV ended up being the victim of it's creature, and that since day one.The total lack of IT knowledge and common sense within CV (management) allowed this parasitic entity to grow to it's current size. Selling anything and everything was childplay for the exact same reason. On the CCS side , the mushroom/stovepipe management style (the apple never falls far from the tree) promoted individuals who would have been long gone in any other company. CV still represents the biggest share in annual revenue, how can a company relying on one and only one (paying) customer be viable, business for dummies. CV FTE's were used for other smaller customers, hardware billed to CV was used in the same manner. All and every project started to replace ageing software (echamp, cargospot) has been a massive failure with millions thrown out the window (and straight into CCS accounts). Kudos to your report. Well written. Champ has seen their best times. Always wondered why Cargolux stuck to Champ all those years. To my knowledge they are extrmely expensive and their service quality is average - at best. Obviously, the airline managers woke up now. Thx for your welcomed reactions to our report. However, on the occasion of the current discussion, we would like to point out once again that the contents of comments reflect the personal opinion of the individual authors and do not necessarily correspond with the views of the editorial staff. Christian C. -> Would refer to Christian Cavez (Vice President Enterprise and IT Services at CHAMP Cargosystems) who was in charge of the CV outsourcing. CCS and CV are abbreviations for CHAMP CargoSystems and Cargolux. It would indeed be interesting to understand why CHAMP Cargosystems failed year after year to deliver on promises to its customers including Cargolux. Their new Cargo Management System was announced since more than 10 years but never materialised. Indeed, their systems are "antiquated", not integrated and no more in line with 2018 industry needs. With an ever growing Management and Development teams, combined with important state funding, some would wonder why CHAMP could not develop new solutions and services to better support its community? This is the real question of this article... Is CHAMP customers's focused and able to deliver on its clients' needs? CHAMP are by far the largest core application provider in the world. The departure of CV for its ERP services has nothing to do with CHAMP capabilities as cargo application/solution provider. Before you comment learn something about the history of CHAMP and CV. Both the article and the comments come across as sponsored by or directly written by IBS or other competitors of CCS. I am sure that Moa S is shocked that her comments would be twisted like this. In addition, CV management would object to the content of this article and the conclusions reached. Publishing reports based on conspiracy theories is not part of our journalistic principles and ethos, which we deeply feel committed to. Hence, this comment says nothing about us but much about the author. As a matter of fact, Cargolux's head of corp comm Ms Sigurdardottir delivered all quotes mentioned in the article, knowing we would publish them. In the case of the other statements mentiond, the individuals asked us not to publish their names. A wish we fully respect. Therefore, we appeal to you to remain objective when using our comment function. Insinuations and false allegations will get us nowhere. thank you for sharing this journalistic moment. There is one little detail missing into your interview: it is surprising to see a 49% shareholder taking the conscious decision to badly impact the reputation of its child company. What is CVs position regarding its stakes in CCS? And how is the other shareholder at 51% (SITA) reacting to CV's move and communication strategy? you truly believe IBS (or any other of the baddies who are after CCS, like Dr No or the Illuminati) would waste any time or resources when CCS is it's own worse enemy ? No need for that whatsoever in my eyes. BTW how is the weather in Contern , respectively Geneva and/or Zurich ? Have passed on your q's to both CV and SITA. Maybe you don't publish reports based on conspiracy theories, but you certainly do not publish them on true facts either. First of all, Champ will still be supplier of cargo management system to Cargolux and it only IT infrastructure that will no longer be supplied by Champ to Cargolux. This article is really not professional. Maybe you should have got informed a little bit better before writing your opinions here. Anything damaging to Champ would also be damaging to Cargolux as they are large shareholder. "Champ will still be supplier of cargo management system to Cargolux "
Fascinating (Spock in most Star Trek episodes)... and you saw the signatures on the contracts stating CV would switch over to CCS's new system (which doesn't even exist) I suppose ? You may want to review your position when accusing Mr Siegmund of not reporting the truth , after all , your statement is just as false for lack of proof. "Anything damaging to Champ would also be damaging to Cargolux as they are large shareholder." Just like when you bleed from excising a tumour or a pustule of some kind. Being one of 2 does indeed make them a major share holder with 49 %, which they have attempted to sell without success over the years. After stating (lying ? ) the entity would remain 100 % by CV when created. I agree with "somebody from the crowd". Fact ist that CHAMP has since years not won one new Cargospot customer - at least it has not been published on their website. To mention that CV has ONLY terminated the infrastructure service is a wrong term - IT infrastructure comes with a data center and is a costly service and can generate revenues. With CV decision CHAMP has lost again market reputation - in sports the team manager is usually fired when the performance is bad. Would be interesting to follow how long the CEO and the VP team are still in charge of the CHAMP business. "Please, think about all CHAMP employees before sending stupid comments like above"
Nice how you write champ in capitals like a member of CHAMP management :), you're well groomed indeed. The name of the company is still "Champ cargo systems" (CCS for short) though, and was referred as "Cargolux systems" when it was created. Ask that same management if they thought about the employees when they ruined relations with countless (potential) customers, including CV. When you say staff, are you including the ones who have been let go/pushed to leave, and whose positions were filled (if at all) in by cheap labour in exotic countries like e.g. a chain of islands not too far from the PRC and even closer to Malaysia ? Or the ones that will not be "re-insourced" by CV ? 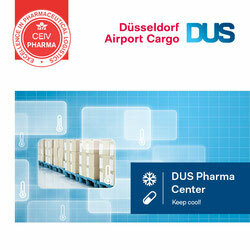 The name of the company is CHAMP Cargosystems S.A., a quick check of Editus.lu could have told you that. Referring to the company as CHAMP is more common than CCS and it is appropriate to use "all caps" as it is an abbreviation. The term "Cargolux systems" was never used. Otherwise, there are many negative comments about CHAMP above that can easily be proven false. Please refrain from posting false and defamatory statements. @Fact Checker -> here are real facts! "...Cargolux informs its customers electronically about the status of their freight through its Cargo Handling And Management Planning system (eCHAMP), providing nearly instantaneous quotes, bookings, reservations and confirmations. Clients can access this information either directly or through CHAMP Cargosystems (CCS) and receive automatic status updates on the progress of their deliveries throughout the world..."
"...In 2017, Cargolux embarked on a journey of transformation with the launch of its 2025 Strategy which is focused on ensuring that the airline remains a sustainable, relevant and competitive provider of quality services to our customers. This includes a comprehensive review of all our business processes, technological developments and innovation, to make it easier to transact with our customers, new product development and focusing on the well-being of our employees..."
3) Not sure that all negative comments listed above can easily be proven false as many were known already by the industry. But this is clearly not the place and way to debate about company issues or problems. :) thank you for confirming the fact that the company is indeed called champ cargo systems and not CHAMP ! FYI , you don't check company names on editus , you actually do that on a government site, editus being a private company . with registered office in L-2990 Niederanven, Luxembourg Airport, RCS Luxembourg B 96.736, incorporated by a deed of Maître Paul Bettingen, notary residing in Niederanven, on October 28, 2003, published in Mémorial C number 1288 of December 4, 2003. The meeting was presided by Mr Michel Schaus, Directeur des Affaires Juridiques et Assurances of CARGOLUX AIRLINES INTERNATIONAL S.A., residing in Luxembourg. The chairman appointed as secretary Ms. Nadine Thoma, private employee, residing in Oetrange. The meeting elected as scrutineer Mr Guy Streff, private employee, residing in Bereldange. 1 of the Articles of Incorporation. From next year on CV IT managers can prove their enormous IT skills. Then they can show that they run their IT better than CHAMP. CV IT has no IT skills , for the simple fact that they lack of actual IT staff but maybe 2 or 3, they're bean counters who have spent their time double and triple checking what their daughter company was charging them (for good reason) , finding ways to cut costs everywhere and "analysing the business". They now work with a German company who has close to no experience with what a customer of the size of Cargolux needs, maybe it's linked to the fact that the person in charge knew them from a previous life in another country, just speculating. - current CV IT Managers buying a service from Champ which is legacy and too expensive with a very poor service. Why shall CV IT Managers have IT skills? In CV skills are required to benchmark for your money the correct service on the market. An thats what CV IT is doing. - Champ never developed after Echamp a new Cargosystem. All projects failed as many other big software projects. 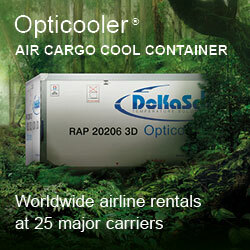 Cargospot came from an acquisition of Softair. No model change was executed. Legacy was kept and it still sold as a modern cargo APP and Cloud ready (what a bulshit). Cheap off-shore development in Manila makes the whole situation even worse. - Champ has never turned into a service oriented company. Business as usual and copy paste. Very bad Service Desk Service to Cargolux Users. - Champ never conducted a successful major project. Only failures. "- part of the new CV IT managers will partially CHAMP IT Managers. So no change to be expected only of the new Managers will keep control"
Not quite in fact, of the roughly 2 dozen people moving over (hw the selection was made remains a complete mystery), most managers will not retain his title/position , they will all become business analysts and join the already existing horde of BA's . 1 will retain his title, another one will become one, given their high qualification and proven day to day excellent results in fields like brown nosing, information retention, corpse walking. All will answer to 2 freshly promoted, 0 IT knowledge people, who were placed there for being holders of a passport from the right country at the right time, years ago when the Head of , what was then called commercial IT , was himself a Carlsberg fan (yes nepotism has always been a plague within CV, with good results on some very rare occasions , that must be said too, but certainly not in this case), just like one or two other BA's hired later in the current pseudo IT dept. I do not agree with all above comments but very interesting article that begs questions on the future of CHAMP. I would like to congratulate you on a truthful and well-written article. I am, of course, referring to the CV-CCS one from a few days ago. By 2007, CHAMP CS was supposed to have almost 300 staff in LUX, it of course never happened , and nowadays and since quite a while staff gets mostly if not exclusively hired in the Philipines, CCS even managed to fool immigration into believing they couldn't find a trained network engineer other than the Philipines and required a permanent working permit for him, which the were granted. The study (not the document) was conducted by PWC (price waterhouse cooper) and cost a fortune, like all the others that have been conducted by the same firm. In my eyes it is time the CV board of directors acts on a situation they allowed to fester for the last 15 years.